Keeping track of your business usually requires a lot of specialists, side activities and a lot of time to manage it all. Unless you put technology to use. ERP software provides easy and manageable tools, in order to go from management efforts to a one click away performing business platform. ERP has significant upfront costs and changes management implications that must be accepted by both your managers and your employees. Still, the main benefit is that it improves processes and increases efficiency across the organization, resulting in a progressive reduction of costs. Having harmony between finance, sales and production departments requires a fluent internal communication and timing. Don`t leave this aspect to chance or just to the HR people. ERP allows you to connect the dots, so that sales professionals, product marketing team, customer service personnel and financial groups work on a common platform. Having the practices and reporting flow improved increases productivity. Whenever you feel like the tide is changing, don`t full yourself to cut of the IT department. It`ll be smart to keep the availability of information ON, faster response times and increased interaction across the organization. ERP solutions will help you to achieve that and also to track and control the activity. In this way, you`ll know when is the right time to take any action. Clients are part of your organization, so why not bring them into your professional family. Include CRM software in your ERP to automatize sales and marketing. This functionality leads to streamlining sales processes and stops work redundancy. The end result is reaching higher scores in customer service, which differentiates you in the market. If you are still uneasy when tech guys preach for ERP, we can help you. 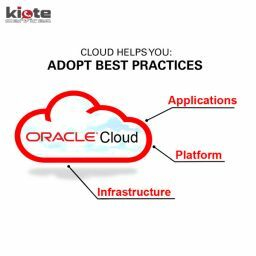 The Kiote Services team has deep experience in ERP adoption and can help you reduce the time and resources needed for critical issues and focus on measurable results and a positive ROI. With skilled professionals to assist your business, we will meet and exceed your expectations. At Kiote Services, we offer greatness.